Let me blow the dust off my keyboard and begin by telling you, “Hello!” Yes, I realize it’s been 4 months since I last posted, but I’m a mommy first and foremost and summer break happened. My family played, worked, hiked, practiced, cleaned, gardened, traveled, weeded, practiced, and cleaned some more. Not to mention my daughter’s Tibia Avulsion Break has kicked us all in the pants. Preteens and pain don’t exactly match. So, along with all the above mentioned activities, there was also a large dose of doctor visits, ice wraps, physical therapy, a 2nd surgery, hospital stays, and some heavy eye rolling and grumbling going on in my house. Five months ago right before my daughter broke her leg. I started to get into writing music. I am obsessed with the new movie ‘The Greatest Showman’. If you haven’t seen it, for the love stop reading and rent or buy it right now. RIGHT NOW! The music in it is fabulous. Not only is the message of the music amazing, but that raw recording embodied the musician’s passion, and love for what they were singing and doing. I loved their faces and their emotions. It made me stand up and say, “YES!” This is exactly how I want my kids to feel about themselves and how I want my violin students to feel about their musical abilities, no matter their level. Beginner students have creativity, passion, and love for music too, even if they aren’t as polished or technical as advanced musicians! 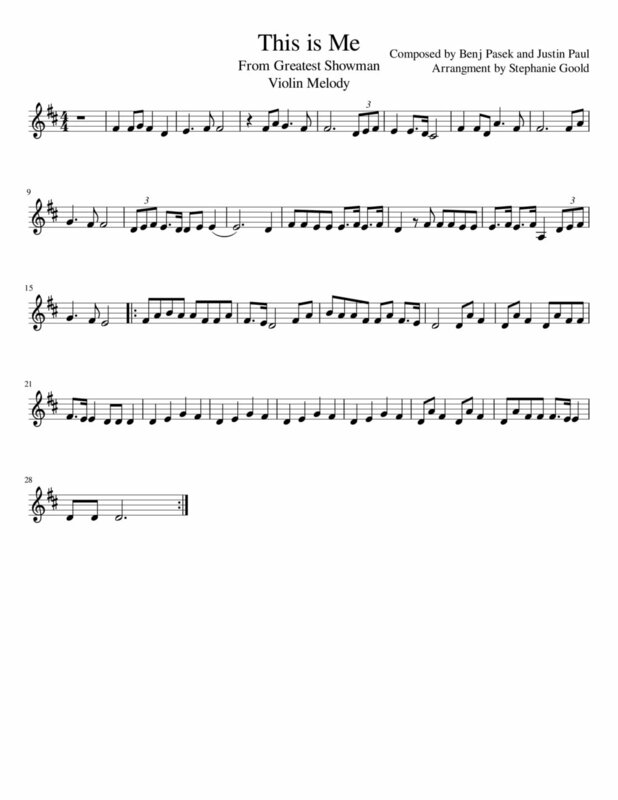 I knew I wanted to write a version that even the most beginner student could play and enjoy! After a couple of never -leaving-my-house and tuna-fish-sandwiches for dinner days, I felt like I had a version that would work. I handed out the music to my kiddos and nieces. They had a blast practicing the song, especially when they were able to get together and jam! This violin sheet music is written with EVERY violinist in mind. One of the violinist in the video had been playing for 3 months, another violinist for 1 year, another violinist for 3 years, and the oldest for 5 years. The pianist has been playing for a little over a year. This piece could also be played as a piano duet by using the melody violin part up an octave played along with the piano accompaniment. Also, if all you have is a very super beginner violinist, have the pianist add in the melody to make the song more complete. Cello could also pick up the bass cleff of the piano part to turn this into an orchestra score. 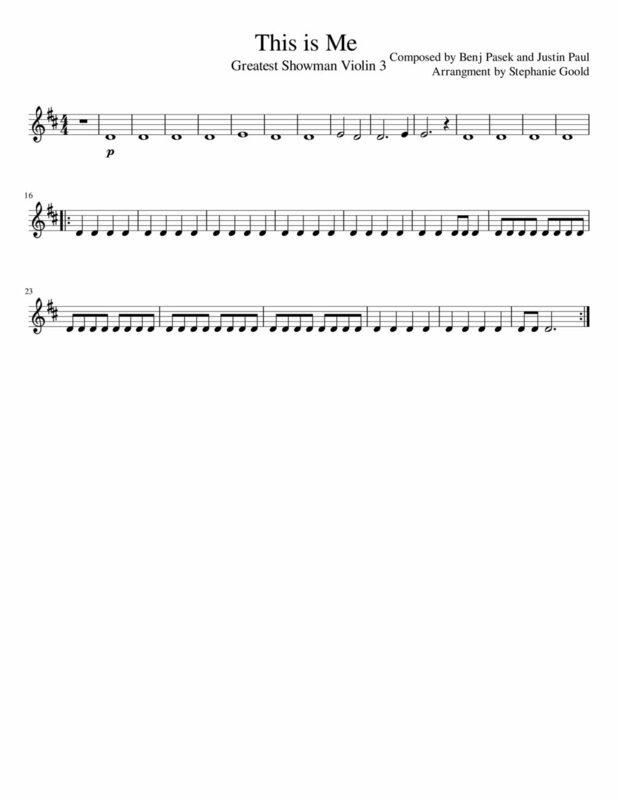 See below for the FREE SHEET MUSIC. Just click on the image of the part you want to download or print. A separate window with a pdf should pop up. All I ask in return is that you like the video, share the link, comment below, or post a video of you playing our piece with a link to this page. It helps motivate me to produce more material like this if I know it’s being viewed, used, and read. Spread the beginning violin joy! Finally! 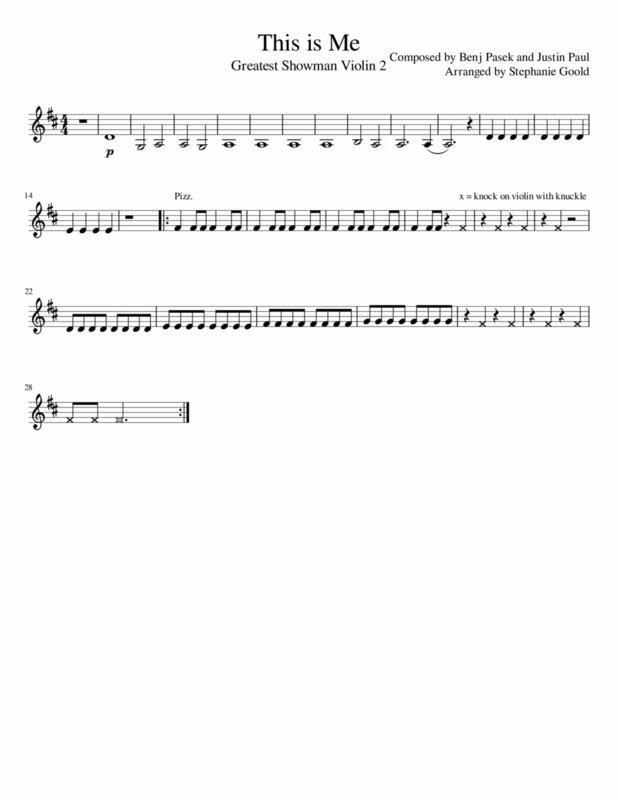 Fun popular music written for the very beginner violinist. This Is Me from the movie ‘The Greatest Showman’. Group or solo options. Free Music to spread the joy! Check out these fun violin Easter games and music. New original and simple Easter music for stringed instruments, and plenty of Easter music theory activities to keep your orchestra or private students busy for an hour! The Violin Doc is in. Eggtreme problems call for Eggtreme solutions. Check out this creative but easy fix for the common cold of violin. This violin bow hand strategy can be used whether or not your student is already note reading. I like to teach the symbols and definition of up and down bows from pretty early on. When there is a movement or action tied to a name and a picture, kids catch on surprisingly fast.